Foreshadowings of Christ wasn’t something I was taught when I was saved, or even any time soon after. In fact, it was many years after that I discovered that the Bible is full of these events and things, and maybe that’s why they fascinate me. A foreshadowing of Christ is something God has given to point us to Christ BEFORE He was born as man. It’s to show us that God always had a plan to redeem us from our sin, and that plan was Christ. It’s to reveal Christ to us as the Son of God from before creation. · Hosea 6, where Israel says that God will “On the third day” raise them up from their sin to live in His sight. The foreshadowings of Christ in the Bible are awesome, but I find the ones that were established in Creation to be even greater. Two in particular are amazing to me. First, there’s the Crucifix shell. This is something I recently saw in Sanibel Island, Florida, on display. In Genesis 1:20 God created all the living creatures that are in the ocean on the fifth day. That would include the Crucifix shell. But it wasn’t until Genesis 1:26, the next day, on the sixth day, that He created man. Even before man was created, He molded this beautiful shell in the shape of the cross, with a definite sculpting of a man on it, to point us to Christ. The second foreshadowing I find amazing is something you may have seen from the teachings of Louis Giglio. It’s in our bodies, at the very core of each cell. It’s the “glue” that holds you together. 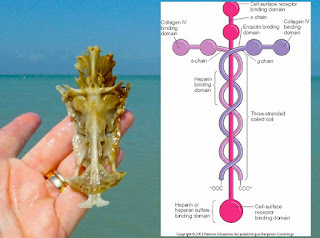 It’s called Laminin and it is shaped like a cross. In every cell of your body there’s a reminder that Christ would be sacrificed for our sins. Colossians 1:16-18 says “For by Him all things were created that are in heaven and that are on earth, visible and invisible, whether thrones or dominions or principalities or powers. All things were created through Him and for Him. And He is BEFORE all things, and in Him ALL THINGS CONSIST. And He is the head of the body, the church, WHO IS THE BEGINNING, the firstborn from the dead, that in all things He may have the preeminence.” His authority over us and all creation is found in creation itself in so many foreshadowings. Revelation 13:8 calls Jesus “THE LAMB SLAIN FROM THE FOUNDATION OF THE WORLD.” Before you were born, before your first ancestral family member was born, God had already planned Jesus as the Lamb to be sacrificed for your sins. Before the first sin was committed, God knew you would need a Savior, and He planned for it. He didn’t plan for it just to cover you with righteousness, but out of love, so that you would never be separated from Him because of your sins. 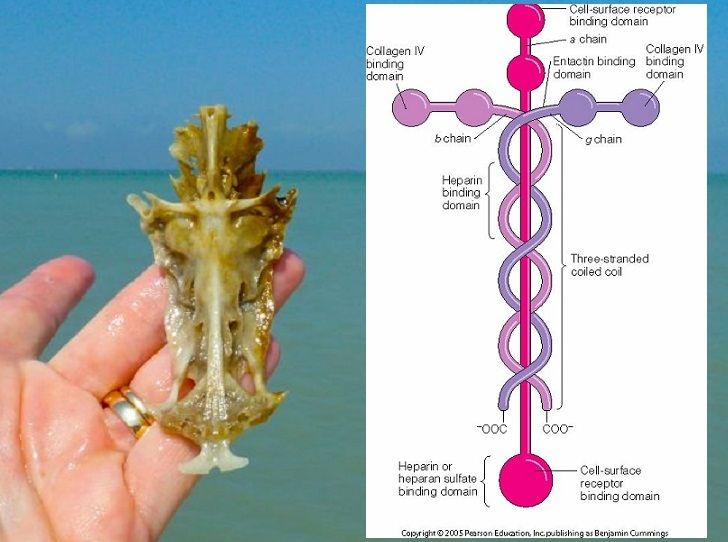 In all of these little ways, from sea shells to cells in our body even, God has shown His love for you.